Chicken owner Kristin Peterson welcomed the MicroMemphis team into her backyard. These are her six chickens. Chicken-keeping is becoming more common in urban areas, and the Cooper-Young neighborhood is no exception. Jamie Acor, of Cackleberry Consultants, says that Cooper-Young "has been a hot spot for chickens for many years." Acor suggests that "people may want a flock for companion birds for pets and some want fresh eggs and fertilizer." She got them as baby chicks back in April 2011. Some of them she ordered online as day old chicks from Texas, and the others she got in Covington at a feed store. They cost right at $3 per chick; she said the shipping cost of $30 was the expensive part. She could tell when the mailman delivered the chicks that keeping chickens was becoming more of a common practice, because he knew what to do with them. He brought them first thing and told her that everything seemed alright. Before she made the decision to jump, she spent a couple of months researching the lifestyle and made sure she knew everything about keeping the chickens. The only thing she regrets is not having the coop built before she ordered them. Peterson admits it was stressful at first, having to keep the chicks inside, watching over them and making sure they learned how to drink and eat. “I missed [them] so much when I moved them outside,” she said. Peterson places her monthly cost for upkeep right at $15; she uses the eggs to barter with others for things like honey and canned vegetables, and she finds use in leftover cardboard and leaves to help keep the coop dry. “I like the self-sustaining bartering aspect” of keeping chickens, says Peterson. She says her neighbors are thinking about getting chickens, but worry how their dogs might react. A few of her friends are considering backyard chickens, but are still doing research. 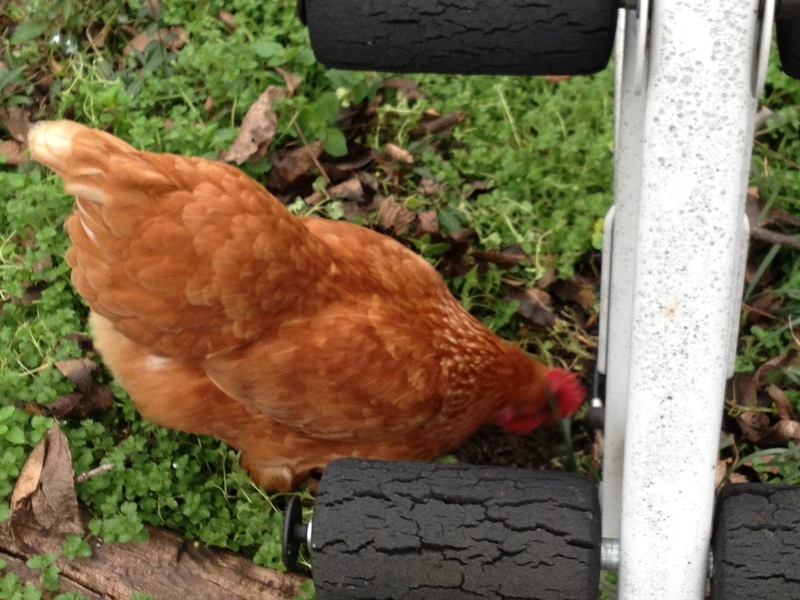 She finds answers to just about any of her chicken related questions in online forums for chicken keepers. A group on Facebook, Midtown Chicken People, is only one of the sites she uses to communicate. Peterson points out that she doesn’t really need to spend much time taking care of the chickens each day, but it is something she wants to. “Sitting here just listening to them...when they’re happy they make this little song noise, “ is Peterson’s favorite part of keeping chickens. MicroMemphis reporter Alice Hart looked into the ordinances for the City of Memphis. See what she found out in her MicroMemphis story. So you're curious about adding chickens to your backyard? Before you add a feathered friend to your family, it is important to research the best egg hatcher for your backyard. Kristen Peterson ordered some of her chickens online from chickensforbackyards.com. But how do you know which chickens are backyard manageable? 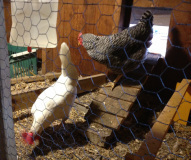 Researching websites, like Peterson did, can help sort the chickens that are family friendly, easy to control and healthy producers. Ashley Todd covers Lifestyles for MicroMemphis. Katie Hannings covers Lifestyles for MicroMemphis.